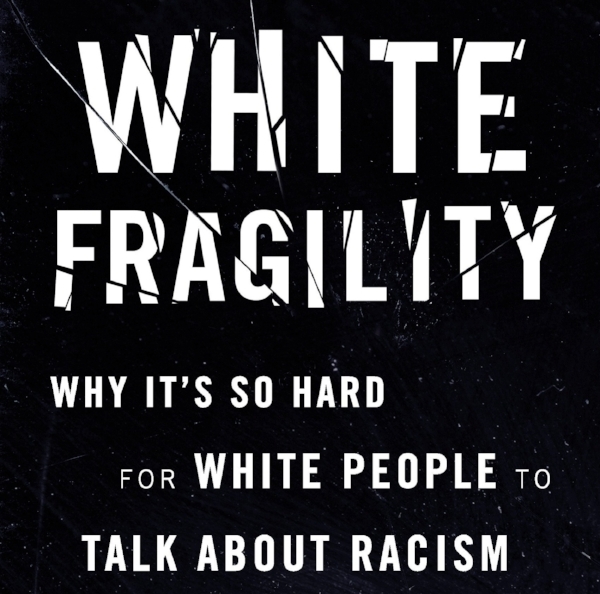 Dr. Robin DiAngelo, anti-racist educator, scholar, and author of the New York Times best-selling book, White Fragility: Why It's So Hard for White People to Talk About Racism, coined the term White Fragility in 2011. She defines White Fragility as: "a state in which even a minimum amount of racial stress becomes intolerable, triggering a range of defensive moves. These moves include the outward display of emotions such as anger, fear, and guilt, and behaviors such as argumentation, silence, and leaving the stress-inducing situation. These behaviors, in turn, function to reinstate white racial equilibrium and prevent any meaningful cross-racial dialogue." Her new book breaks down the dynamics of White Fragility, and how we might build our capacity in the on-going work towards racial justice. What got Dr. DiAngelo into this work on whiteness, and what are some of the key experiences along her path that helped to shift or transform her awareness around whiteness and race. The biggest misconceptions white people have about race and racism. How white people should define racism and understand their role in perpetuating it. On BIPOC having to "pick our battles" when it comes to calling out racism because it almost never feels worth the energy, emotional labor, stress, or consequences: How can a white person respond, when confronted about their racism, to make it worth it for us and meaningful to their own growth and awareness? How do they to get to the point where they’re able to take responsibility for their racism and respond in a constructive way? Changes or recommendations that can be made on an institutional level to challenge white fragility and racism, with a focus on education. What can white teachers do to hold themselves, and their teacher education programs, accountable for their education on issues of race. On the question, "Don’t you think young people today are less racist?”: The myth that racists are of the older generation and everything will get better with this new, younger generation, and how things are actually getting worse. 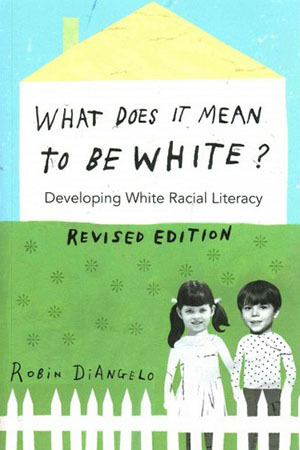 Dr. DiAngelo's positionality being a white person studying and teaching whiteness. 1. The Conscious Kid (TCK): What got you into this work, and what are some of the key experiences along your path that help to shift or transform you, or really got you into this concept of whiteness? Robin DiAngelo (RD): I was a classic liberal, which meant I was clueless, but thought that I wasn't. I grew up in poverty and was an angry feminist so I could tell you in vivid detail about my experiences of oppression. But I had never ever been asked or even considered my experience of privilege and how I’ve benefited from somebody else’s oppression. In fact, being white helped me navigate the barriers of classism and sexism. For me, the awakening came when I took a position as a diversity trainer, going to lead primarily other white people in conversations about race, and I thought that I was qualified. So through that job, for the first time in my life, I was working side by side with people of color who were challenging the way I saw the world. A key part of being white is that I could be a full adult with a college degree and never have had my world challenged in any significant way by people of color. And I was like a fish being taken out of water. So that was the first step. And the second was going out into the workplace, standing by the side of people of color, trying to talk to rooms filled with hostile white people about racism, and how their hostility was impacting the workplace. I don’t really know how to put language to how intense that was. How delusional most white people are about racism. How hostile. RD: I had enough of that fish out of water perspective to begin to take a step back and kind of recognize those attitudes within myself, but the awareness I had gained working with people of color had lessened those attitudes for me significantly. And so it was that parallel process of driving home with my co-facilitators of color and bearing witness to their pain. Another aspect of being white is that you never have to bear witness to the pain of racism on people of color, and we’re never held accountable for the pain we personally cause people of color. After years and years of that, I got better and better at not only understanding how we pull this off, but how we live so separate and unequally and still claim that race has no meaning for us. I got better in understanding how we do it, and articulating how we do it. So after a good five years of that experience, trying to lead white employees in conversations about racism, I just thought, "I don’t think the average white person does that for a living and I'm going to go get my Ph.D."
RD: One more point I would love to make is the mediocrity that white people get away with in the workplace, right? RD: That I could be hired for a job that I was not qualified for. Thank God I had incredibly patient and brilliant mentors of color, but I wasn’t qualified for that job. But I'm white and everybody on the hiring committee was also white. Can I ask, are you both people of color? TCK: Yes. I'm Black. So we talk about this stuff all day long. We were just talking about white mediocrity the other day, and also being a person of color and feeling like you need to work twice as hard just to break even and end up working for some white person that’s just going to take all your ideas. It’s such a great point. RD: Yes. And the resentment that white people feel having to compete with you. 2. TCK: Yes, so true. Now, you mentioned the delusions that white people can have about themselves and their racism. What are the biggest misconceptions white people have about that, and how should white people define racism and understand their role and perpetuating it? RD: Oh, great question. Misconception number one is what a racist is. Most white people believe that a racist is: one, an individual, two, one who holds conscious and aware dislike of people based on race, and three, intentionally seeks to be mean to them. Individual, conscious, intentional. And by that definition, virtually all white people are exempt from racism. We do not understand that this is a system that is infused across all institutions, traditions, politics, practices, language, norms. It is the system we are all in and none of us could be exempt from its forces. RD: What white people need to do is start from the premise that you have been shaped by the forces of racism. That you could not have avoided that, and therefore, the question you ask is very different. The question we ask now from the dominant framework is if its racism. But, understanding that it’s a system whose forces have shaped us, changes that question to how was it racism? So that’s the question I would always ask: What does this look like in my life? RD: I would never march in Charlottesville. But I still manifest internalized superiority. And it is on me to try to identify how I do that. And that is actually incredibly liberating. When you stop with the defensiveness, and the denial, and the deflection, and the explaining, you can see that, of course I have this. I actually don’t want it, but how about I be open to people helping me see how I have it. The worst fear of a white progressive is that we’re going to say something racist, but don’t you dare tell me I just said something racist! It changes everything. It changes what you recognize it took for a person to point that out. If it’s another white person, they had to break with white solidarity. If it’s a person of color, there is an incredible risk across a history harm. But it’s a gift. I often say as a result of this work I know I do less harm. I still do harm, but I am able to say I do less. When I do it, I don’t get defensive and I have really good repair skills and those three things have allowed me, one to have much deeper and more intimate relationships with people of color—because my life was not set up in a way for that to happen. That’s another thing I wish white people understood—I don’t think people of color expect us not to have racism. And not to, on occasion, show that racism. It’s not intentional, but there's no way I am going to be free of it. My experience is that what people of color are looking for is repair. Where can we go with it when I show it, and if we can talk about it, you’re more likely to trust me. Even though you know I have these racist patterns. If we can’t talk about it, we’re probably not going to have an authentic relationship. RD: And, you know, I kind of consider it a red flag in my relationships across race if I’m not getting, on some occasion, some feedback. And let me be clear, it’s not on my friends of color to let me know. I'm pretty good at this point at checking myself. But I'm sure, you know, there are things that I miss. And if you’re not talking to me about it, I can assume that I have conveyed in some way that I'm actually not open to the conversation. 3. TCK: On that same note, as people of color, we talk a lot about having to “pick our battles” when it comes to addressing racism. Even though we are experiencing and encountering racism all of the time, it almost never feels worth the energy, emotional labor, stress, or consequences to address it—because of white fragility. So, when a white person is confronted about their racism, what does that response look like, to make it worth it for us and meaningful to their own growth and awareness? You mentioned trust and repair, so how do they to get to that point where they’re able to take responsibility and respond in a constructive way? RD: I often will start with a question. It’s a rhetorical question I ask people of color. How often have you tried to give white people feedback on their inevitable and unaware racist patterns and had that go well for you? You know, they laugh, they roll their eyes. Every now and then, they say “once or twice”. And then I ask, so what would it be like if you could just give us that feedback and we received it with grace, reflected, and sought to change the behavior? I’ll never forget a man of color who raised his hand and said, “It would be revolutionary”. So I'm just like, damn, revolutionary to receive it with grace, reflect, and seek to change the behavior. That’s how difficult we are, that it’s a freaking revolution. RD: But that’s also how easy it is, that’s how simple it is. I mean there’s a lot tied into the ability to see that. One, we have to be educated on racism, what it is and how it is infused across society. We have to understand that we’re not separate from our social groups. We have to change the paradigm that we’re operating from. I really don’t believe we can get where we need to go from the dominant paradigm that says that only individual, aware, mean people participate in racism. I think that definition is the root of virtually all white defensiveness on the topic. Because if you suggest I have done something racist, you’ve just put me on the bad side of that and you have essentially just said I was immoral and now I'm going to have to defend my moral character. And I will. RD: We are taught to be oblivious. It’s not an innocent obliviousness. We work at not seeing. At the same time, all white people know it’s better to be white, but they cannot admit that. We feel entitled and we feel superior, but we can’t admit it. I'm sure you all have noticed how irrational white people are on this topic. TCK: Definitely, yeah. In my experience, I swear it’s either they’re going to double down or they’re gonna want to talk about it—and very rarely do people want to talk about it, or start admitting their failures. RD: Right or they’re going to want you to absolve them. RD: And comfort them, reassure us that we are good people, that you still love us, and lay this emotional burden on you. TCK: So true. And then also call on you to educate them. RD: Yes. You know, and that’s the piece that I really want to come through for the parents. The number one question I get from white parents is, “How do I raise my children?” Use the analogy of being on an airplane and putting on your oxygen mask before you turn to put on a child’s oxygen mask. If you can’t think critically about racism, then you’re not prepared to just raise your children to think critically about racism. The average white parent cannot answer the question, what does it mean to white? RD: The average white person can’t answer that question. Not with any depth at all. Not with any criticality. And we bring that inability to answer that question to the table with us. It’s part of what you have to deal with from us, right? If I cannot think critically about what it is to be white, I’m not going be able to hold, or bear witness to, what it is like not to be white. This lack of racial self-knowledge creates a hostile environment for people of color day in and day out. This is why I think that white progressives are the hardest - because you’re most likely to be around white progressives. And yet we’re so sure that we’re good to go that you can’t really talk to us, not only about your own experience under this construct, but our experience under this construct, if we don’t even know what it is. 4. TCK: When we talk about race, a lot of times the focus tends to be on the individual, which is important, but a lot of times people forget about the institution, and the roles that institutions play in the overall structural perpetuation of racism. What changes or recommendations would you make on an institutional level to challenge white fragility and racism? RD: Revolution! I mean, I used to be a professor of education and I would stand in front of my virtually 100% white students. I taught five classes a semester. The program was 97% white and it was rare to ever have student of color in any class. They were all going to be teachers, and it was 10 miles from a city that was over 50% Black and Latino. And I would just stand there and look at them and I’d see the whole system reproducing itself. They are going to go forth and they’re going to reproduce this. So to answer the question, the first thing is, teachers need to understand there is a history of harm between the institution of schooling and children of color—and parents of color will not automatically trust them. Earn their trust, don’t demand or expect it. Sadly, many teachers are not lifelong learners. I don’t want to say they are know-it-alls. But, they can be a bit arrogant because they’re teachers, right? And so we’re not always open, but we have to be lifelong learners. We can’t become complacent on this topic. Demand that you are educated on race in your teacher education program and then demand that your school grapples with these issues and provides ongoing education for your teachers. It’s a little bit like water dripping on a rock. I didn’t get it the first, second, third time, right? It takes a really long time because every moment that I push back on the forces of socialization, which are really the forces of white supremacy, those forces are pushing right back on me, so I should never consider my learning to be finished. Notice that all of things that I mention are not easy. So many white people say, give me a checklist. Well, there is a checklist but you’re not going to like it. RD: It’s not like, oh, just don’t make eye contact with this kind of student and use your left hand with this one. It’s transformative change. It’s humility. It’s allowing yourself to be unmoored. It’s building a capacity for discomfort and for bearing witness. TCK: Yeah, I like how you’re talking about this ongoing work. It’s one of the things that people always seem to forget. Even when you get to a teacher education program that does talk about race, which is rare enough, it’s always a peripheral thing, right? Maybe it’s one class you take or maybe you go to this thing, right? It needs to be at the center of the culture and interwoven throughout all aspects. RD: Absolutely. Many white teachers believe that if they’re for social justice, they automatically infuse social justice in their teaching. But they don’t. Being for social justice is virtually meaningless without strategic intentional action. RD: You’re not qualified to teach if you cannot engage with nuance and complexity with questions of racism. We have to begin to be accountable to that point. RD: You are not qualified to teach in a school system that has returned to almost pre-Brown v. Board of Education levels of segregation if you cannot engage critically on questions of race. And “I was taught to treat everyone the same”, or “I treat each child as a unique individual”, is not engaging critically when we have such a profound degree of racial disparity in our school system. 5. TCK: You say you get asked all the time, “don’t you think young people today are less racist?” There’s this myth that racists are of the older generation and everything will get better with this new, younger generation. And you respond, in fact, they’re getting worse, because that narrative, our self-image, hasn’t changed our outcomes. Can you elaborate on that, and also speak to how we can go from consciousness to change. RD: Yeah. Our narratives of racial progressiveness—our self-image as open-minded, our intentions—have not changed our racially disparate outcomes. The average white person will be either color-blind or color-celebrate. Neither of those narratives have changed our outcomes in any way and so we have to go underneath these narratives and ask what’s going on? And what I see is the result of a generation that went with colorblindness. Young people who think they are not racist, but cannot engage critically on questions of race, and so are susceptible to the belief that racism has ended. Here is an example. I’m doing a fair amount of training with these large tech-companies and they have a very young employee base, under 30. They are flabbergasted when they hear their colleagues of color—who remain very few in numbers, very few in particular who are Black—express their daily pain at trying to survive in an overwhelmingly white workplace. They are just stunned at the pain that those colleagues endure. They have no ability to recognize how racism manifests in these environments and what role they personally play in it. RD: Their co-workers of color are in a lot of pain and can’t talk about it because white people don’t understand the meaning of their own race. So no, I don’t think younger white people are more progressive in practice. 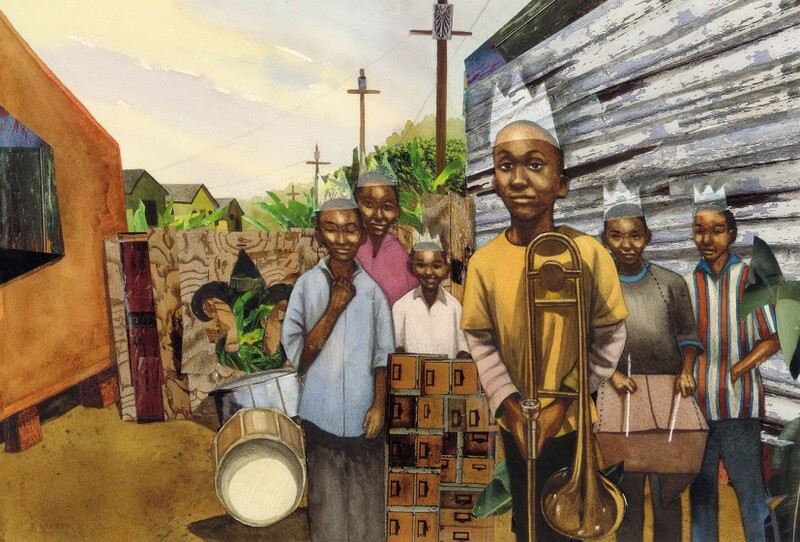 RD: Have you read Picca and Feagin’s Two-faced racism? RD: I love Feagin. He co-wrote a book called, Racist America. He’s got a book called, The First R: How Children Learn Racism. He’s coined the term, the White Racial Frame, and his work has been really helpful to me. He’s a white guy, he’s a professor in Texas, and he has a book called, Two-Faced Racism: Whites in the Backstage and Frontstage. He had his college students, hundreds of them, over time, keep journals of every racial moment they were aware of over the course of the semester—and there were thousands. It is so straight up racist that your jaw will drop, right? I’m not gonna repeat it but just imagine. RD: They all participated in the same level of racism as in the past—the difference is that they put it in the backstage, not the frontstage. They don’t do it publicly, and they don’t do it in front of people of color. They do it behind the scene. 6. TCK: What does your positionality look like being a white person studying and teaching race? I mean obviously you study whiteness and white fragility. You study your own group. There is kind of a hot button topic around people doing research outside of their communities, or white folks studying communities of color as opposed to maybe unpacking their own whiteness or white privilege or white fragility. Can you talk a little bit about that and how you look at positionality? RD: Absolutely. I'm glad you’re asking that. So first of all, I like to say that’s my people, right? RD: And as an insider, there is a level of understanding and awareness that I have that you can’t have. RD: I believe that as a person of color you have insight and nuance into whiteness that I will never have. Yet as an insider to whiteness, there is a kind of understanding of it that you can’t have, not having been raised as white. Another way to think about it is that when men challenge other men about sexism, there is a kind of, “I know and you know,” that makes it harder for men to deny. I think pretty deeply about patriarchy and sexism, but I bet there are certain aspects of it that I wouldn’t even know that men do or have going on. RD: So I do have that. The power of implicit bias is that my voice is granted more weight and more objectivity and therefore, by God I’m gonna use it. For me not to use this position in that way is to be really white. Silence. Apathy. That’s not acceptable to me. And I’m very clear that I reinforce whiteness in my work. In a funny kind of way, in order to decenter whiteness, you have to re-center it differently. It remains centered in part by being unmarked and unnamed and so to shine a light on it and expose it, is to decenter it. It’s a complicated dance because I don’t think there’s a space outside of white supremacy. We don’t really know what that would look like, and so, yes, I reinforce it in my work by centering the white voice, but I also believe that I challenge it. I have struggled with this dilemma and this is how I’ve finally come to peace with it. And I'm really clear. The white voice on this is all too often missing. But it cannot be the only voice. I couldn’t articulate what I know today without years of brilliant mentorship by people of color. TCK: We just wanted to wrap it up by asking and letting people know where people can buy your book and if you have a book tour or any upcoming talks? RD: Oh, thank you. Certainly. If you go to my website there are several links, including independent bookstores. It’s pretty readily available. I am going to be in New York, Austin, and Portland. Those are my next major book speaking events. TCK: Thank you so much for taking the time to speak at-length with us. We appreciate your work and your time.